In the absence of Mai Fanning, Aideen Buckley chaired the meeting. Liam Gaynor presented a financial update to the Council. The group discussed arrangements for the upcoming table quiz. It was considered important to have the correct mix of questions to suit all ages at the event. The Council agreed to meet again on Monday, 1 April at the venue in order to prepare for the night. The annual Easter raffle will take place before the midterm. Mai Fanning is looking after prizes and will coordinate the organisation of the event. Aideen Buckley updated the Council on the ongoing work of the School Planning Group, namely school self-evaluation surveys for parents, staff and students. There was a brief discussion around Transition Year. Mr. Mc Ginnity confirmed that there were no current plans to change the curriculum offered in the school. Mr. Mc Ginnity confirmed that the Child Safeguarding Statement had been formally reviewed at the last Board of Management meeting. It is available on the school website. The next meeting of the Parents’ Council will take place on Monday, 13 May at 6.30 p.m. In the absence of Mai Fanning, Louise Evans (Secretary) chaired the meeting. The suggestion of having a Loreto Parents’ Council Facebook page was revisited. Mr. Mc Ginnity spoke with Mr. O’ Shea on the matter and the school felt that it would be best not to set up such a page. The school will continue to use its website and the text messaging system to contact parents. Liam Gaynor presented a financial report to the Council. Arrangements for the table quiz, scheduled to take place on Friday, 12 April in Wexford Golf Club, were discussed. Mai Fanning is planning the Easter raffle. Mr. Mc Ginnity mentioned the current work of the group. Surveys for parents, students and teachers have been prepared over the last number of weeks and they will be distributed shortly. The survey relates to the School Improvement Plan and the use of mobile devices. Mr. Mc Ginnity informed the Council of upcoming changes to the catering provision in the school. He also mentioned the recent Department of Education and Skills inspection in the area of Home Economics. The report will be published in the coming months. The next meeting will take place on Monday, 4 March 2019 at 6.30 p.m. The Flower Arranging demonstration and the Christmas stocking competition went very well. Members of the Student and Prefects’ Council received cupcakes, prepared by Mai Fanning, before the Christmas break to recognise their contribution to the school. The Easter raffle will take place during the last week before the Easter break. The Council also discussed the possibility of holding a table quiz later in the year. This could be aimed at past pupils in particular. Mai Fanning reminded those present of the walkability audit which is due to take place shortly. Members of the Council interested in contributing to the work of the Green Schools committee should contact Ms. Culleton, as outlined at the previous meeting. There was a discussion around the best way to communicate events to the general parent body. 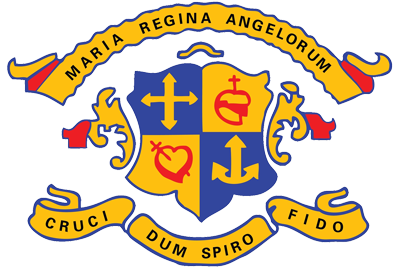 The possibility of establishing a Loreto Parents’ Council Facebook page was discussed and will be revisited at the next meeting. The next meeting will take place on Monday, 4 February 2019 at 6.30 p.m.
John McGinnity, Louise Evans, Mai Fanning, Patricia Delaney, Iris Johnston, Lorenia Gil, Aideen Buckley, Edel Cullen. The Council finalised arrangements for the event on Thursday, 6 December. The Council were very appreciative of the support of Rosaleen’s Flowers in hosting the event. A reminder text will be sent out from the school. A discussion around the best format for the Christmas lunch took place. The suggestion was made to include other groups in the school, such as the Prefects’ Council and Meitheal leaders. The Council will donate one prize per year group to the winner of the Christmas stocking competition. Aideen Buckley updated the Council on the work of the School Planning Group. At present, the group is looking at the Code of Behaviour, focusing on ways in which to further promote positive behaviour. Meetings take place each Friday and parents are most welcome. Mr. Mc Ginnity distributed a document which had been prepared by Ms. Culleton, Green School Co-ordinator in the school. The document outlined our plans for 2019 and invited parental participation. Ms. Culleton supplied her e-mail address and asked for interested parents to contact her directly with their views/opinions. A discussion around walking/cycling and the weight of school bags followed. Congratulations were extended to our Chairperson, Mai Fanning who was recently nominated as Vice Chairperson to the National Parents’ Council for Post Primary Schools. The next meeting will take place on Monday, 7 January 2019. Louise Evans, Iris Johnston, Patricia Delaney, Aideen Buckley, Edel Cullen, Liam Gaynor, Annette Cahalane, Ellen Lordan (teacher representative), John Mc Ginnity (Deputy Principal). In the absence of the Chairperson, Mr. Mc Ginnity chaired the meeting, with the agreement of those present. Vice- Chair: Aideen Buckley (proposed by Patricia Delaney and seconded by Annette Cahalane). The flower arranging will take place on Thursday, 6 December. Arrangements for the event were discussed. The Christmas baking competition worked very well last year and it was agreed that it should go ahead this year also. The Parents’ Council will sponsor a prize for each year group. Mental Health event for sixth year students, held in the Spiegel tent. The work of the School Planning Group and the upcoming review of the mobile phone policy. With regard to the new school, Mr. Mc Ginnity spoke about ongoing work on the GAA pitch and minor works inside the building, most of which were completed over the midterm. The school hopes to hold an open morning in due course. Water Fountains: Louise Evans enquire about the water fountains. Mr. Mc Ginnity explained that nearly all of the taps on the water fountains had been replaced with ‘bottle-friendly’ taps over the mid-term and are now much more suitable for use. Traffic: There was a discussion around traffic and road safety in the area. Many members expressed concerns about the lack of pedestrian crossings at the roundabouts outside the school grounds. Mr. Mc Ginnity explained that County Council officials had observed the traffic over a number of weeks in September. The issue of pedestrian crossings had also been flagged in 2017 when a travel plan was submitted to the authorities. Mr. Mc Ginnity said that he would ask Class Teachers to remind students, particularly in junior years, to be careful in the winter months. School Mass: The Mass went very well and the Council were happy that Clonard Church was able to facilitate the event. Monday, 3 December 2018, at 18.30. Mai Fanning welcomed those present to the school, thanking them for taking the time to attend. She outlined the importance of the Parents’ Council and spoke about some of the events that the Council were involved in last year. Liam Gaynor, Treasurer, presented an income and expenditure report for the school year 2017/18. Brendan Dennehy, creator of The Fatherhood Programme, addressed the audience on the topic of fatherhood and wellbeing. He spoke about the importance of authentic engagement between families and the need for strong relationships between fathers and their sons/daughters. His contribution was well received and he answered some questions afterwards. Mai Fanning concluded proceedings by thanking Mr. Dennehy, members of the Parents’ Council and the parents who had taken the time to attend. The next meeting of the Council will take place on Monday, 5 November, at 18.30. Mai Fanning (Chairperson), John McGinnity (Deputy Principal), Joanne Beaver (Vice Chair), Theresa Doyle, Louise Evans, Aideen Buckley and Iris Johnson. Apologies were received from Tara Little, Liam Gaynor, Annette Cahalane and Mary O’ Leary. The AGM takes place on Monday, 24 September at 19.00. Arrangements for the event were discussed and agreed upon. Mary O’ Leary and Joanne Beaver will be stepping down from the Parents’ Council as their daughters have now completed their time in Loreto. Those present discussed the need for parental representation from each year group. Parents will be informed, via the website, of the AGM. Members updated their contact details for the year ahead. Mr. Mc Ginnity updated those present on the new building, outlining some of the difficulties encountered over the summer and updating them on minor works that have yet to be completed. The calendar of events for the year ahead was discussed. There was a discussion around the topic of cyber-bullying. Louise Evans will explore the possibility of organising a speaker. Mr. McGinnity informed the group that all first years will attend a workshop on internet safety in October. A talk for parents will also be provided. The Council wished to acknowledge the work of Mr. O’ Shea, Ms. O’ Reilly, Mr. McGinnity and all other staff who helped get the school ready to receive students in August. The AGM takes place on Monday, 24 September. The next meeting of the Council will take place on Monday, 1 October at 18.30.